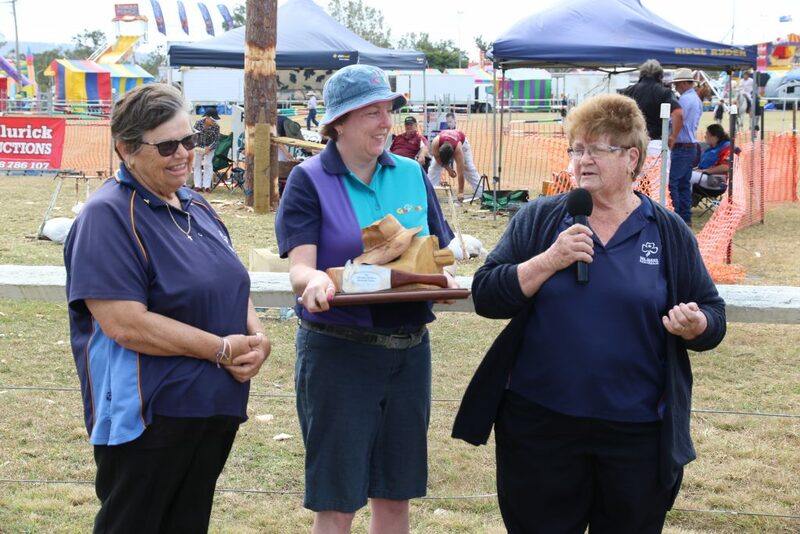 Girl Guides were presented with the Valmadre Bros Trophy – this trophy is in recognition of outstanding volunteer/s at the Show. This was presented to the Girl Guides for their 30 years of volunteering to organize and run our entry gate. 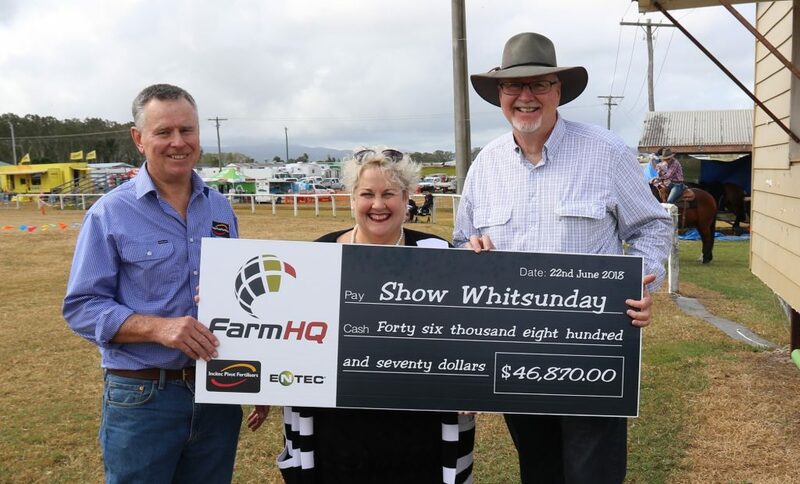 We share the takings with them and it their biggest fundraising event. We could not do it without them. 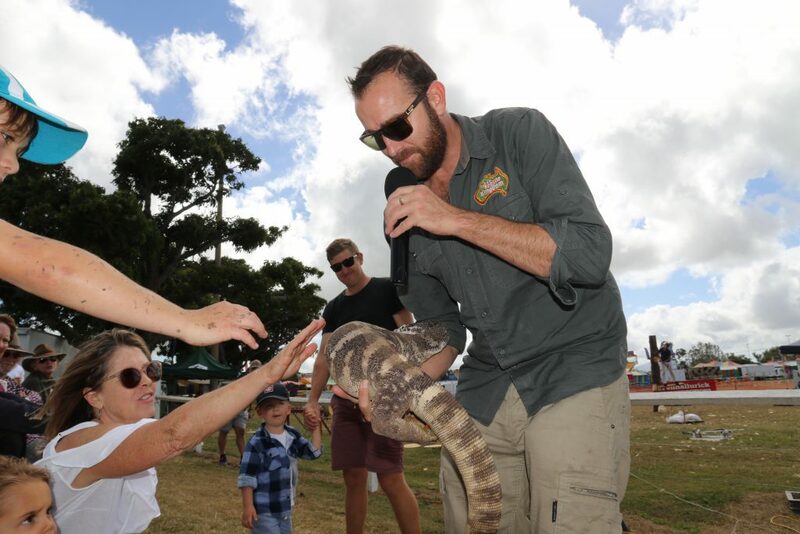 Luke from Luke’s Reptile Kingdom with one of his friends in the grandstand area Saturday. Great crowd interaction! 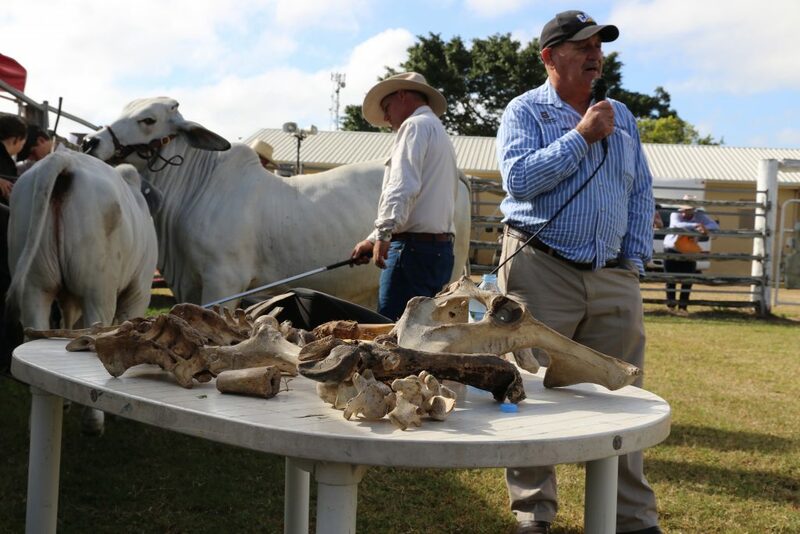 Graeme Hopf – International Cattle Judge ran a training class for students at the Show on Saturday Morning. He used a bag of cattle bones that he travels with to explain his judging technique. Great crowd.